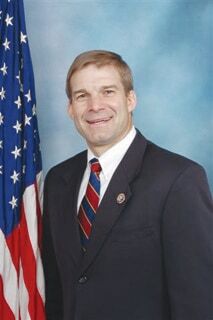 WASHINGTON — U.S. Rep. Jim Jordan (R-Ohio) of Champaign County was among the many Republicans being pushed as a possible Speaker of the House following a dramatic day Thursday in which front-runner Kevin McCarthy pulled out of the race. However, Jordan’s office said Thursday evening the Congressman is not interested. “So you are aware, he is not planning to run for Speaker,” Darin Miller, press secretary for Jordan, told The Lima News. He said Jordan was “swamped” with meetings “with colleagues” and would comment further on Friday. Conservative Republicans were touting Jordan as someone who would best reflect the political drift and impulses of the House. Jordan chairs the House Freedom Caucus, which announced late Wednesday it intended to vote as a bloc against McCarthy. At that time, the caucus threw its support behind Rep. Daniel Webster, R-Fla., one of its own members. However, following McCarthy’s announcement Thursday, some members of the caucus were reconsidering its options. Many conservatives said they would not necessarily stick with Webster and that all options were open. The pressure is on Rep. Paul Ryan, the GOP vice presidential nominee in 2012, to run for House speaker. With Republicans acting more like feuding relatives than a unified party, departing House Speaker John Boehner and McCarthy were pressing Ryan to seek the job. Mitt Romney, who led the Republican presidential ticket in 2012, also called him, according to Rep. Fred Upton, R-Mich.
Boehner told the conference that he is intent on holding elections for speaker at the end of the month.